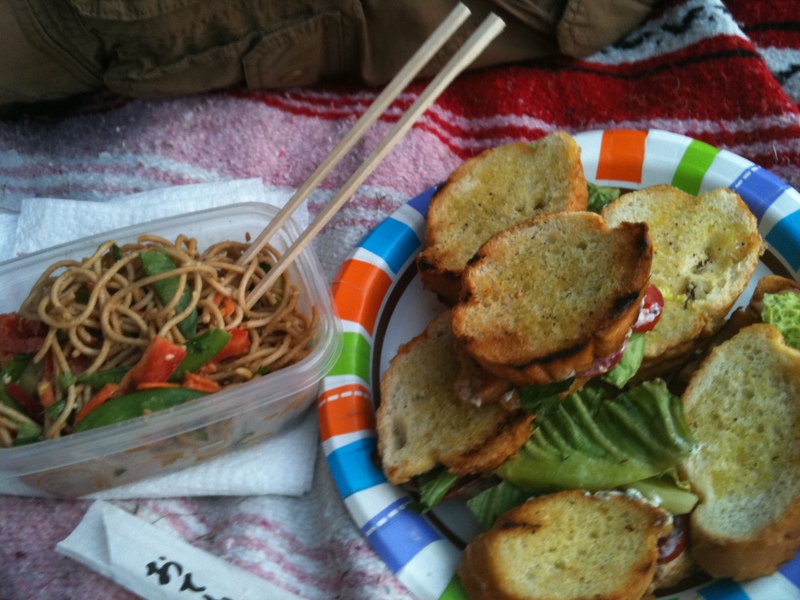 What better way to spend a summer evening than a nice picnic at an outdoor concert? Last night, Brant, Eric and I enjoyed a lovely picnic dinner at Wolf Trap in Virginia with music courtesy of one of our favorite singer-songwriters, Dar Williams. 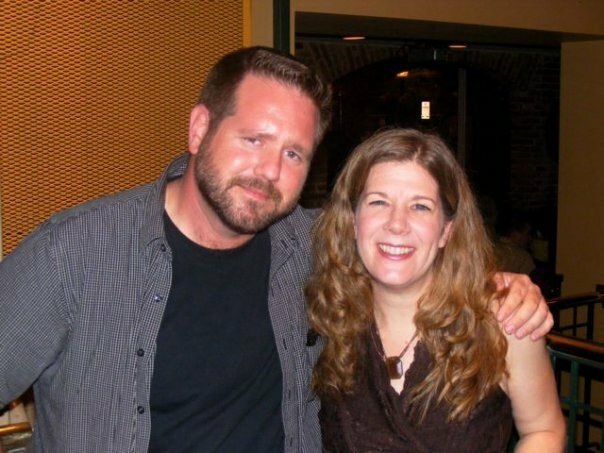 Here’s a picture of Dar and me at the Rams Head Tavern in Annapolis, Maryland back in August 2009 – isn’t she adorable? When you’re like me and your musical tastes vary away from the mainstream (my roommate says I listen to “suicidal lesbian music” – thanks Scotty!) it’s nice to have friends that like the same kind of music that you do. Eric and Brant are also eager eaters, so they are fun to cook for, and delightful to spend time with in many ways. We kept the menu simple: BLTs with goat cheese on toasted french bread, sesame noodles (recipe below), and Ina Garten’s Ultimate Ginger Cookies. Chill and serve. Serves 8 – 12. Since I’m unable to resist the urge to mess with a good recipe, I had to add cashews to Ina’s recipe. I must say, the results were fantastic. I added a cup of whole, roasted, salted cashews at the end of the mixing. 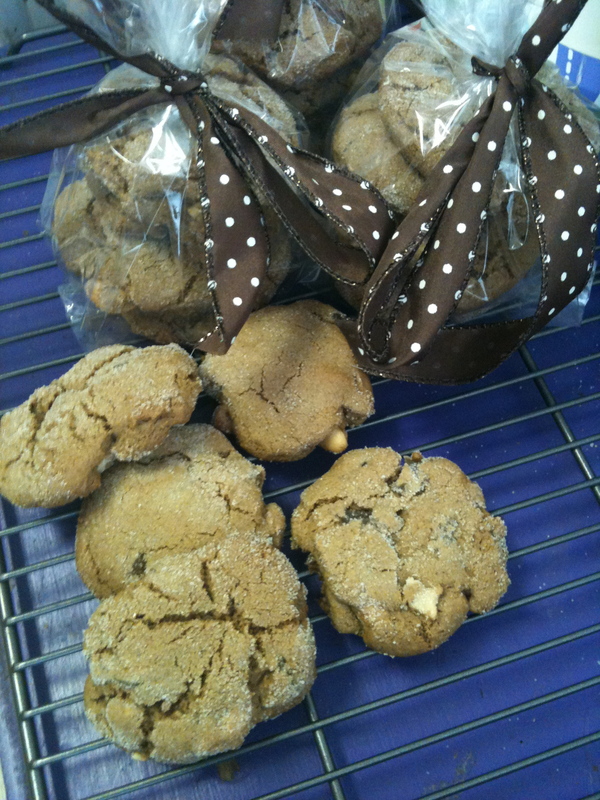 The mixing broke the nuts up a bit but they stayed pretty big and added some nice crunch and flavor to the cookies. I highly recommend this recipe with or without the cashews. I’m a huge Ina Garten fan, and I have this fantasy where I somehow get invited to one of her parties in the Hamptons. If you ever watch her show, you know she’s flanked by more gay men than Lady GaGa, so I can’t help but think this fantasy could someday come true. A boy can dream… Anyway, in true Ina fashion, I even put the cookies into “glassine bags and tied them with ribbon” just like I saw on her TV show (I know, I’m a total freak). But before you judge me, I should tell you that when I originally planned this, I thought Brant’s daughters were joining us for the concert, and I was planning this special touch to impress them. I was also going to serve the noodle salad in festive Chinese take-out containers but I stopped short when I found out the kids weren’t coming. I’m coo-coo, but not THAT coo-coo.